About AR Navigation Supplies, Inc.
AR Navigation Supplies, Inc is a San Francisco Bay Area manufacturer of unique navigation equipment for adventure racers around the world. Its founder, Mark Manning, is an experienced Adventure Racing Navigator for team AR Navigation Supplies. As the designer of the Basic Roamer AR, Rotating Map Holder, Waterproof Pedometer and other navigation products Mark started AR Navigation Supplies, Inc in 2005 to help navigators find the unique, specialized and hard to find equipment needed for Adventure Racing. 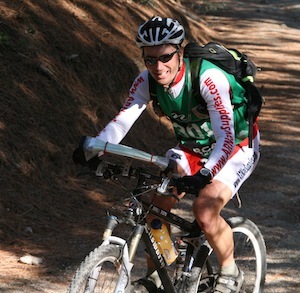 Prior to Adventure Racing Mark navigated for European Auto Rally Teams and also raced on the road for the Navigators Professional Cycling Team. AR Navigation Supplies, Inc. provides navigation training, endurance coaching and specially designed navigation equipment for the sport of Adventure Racing. Mark is a US Orienteering Federation Certified Instructor and Multi-sport Coach.